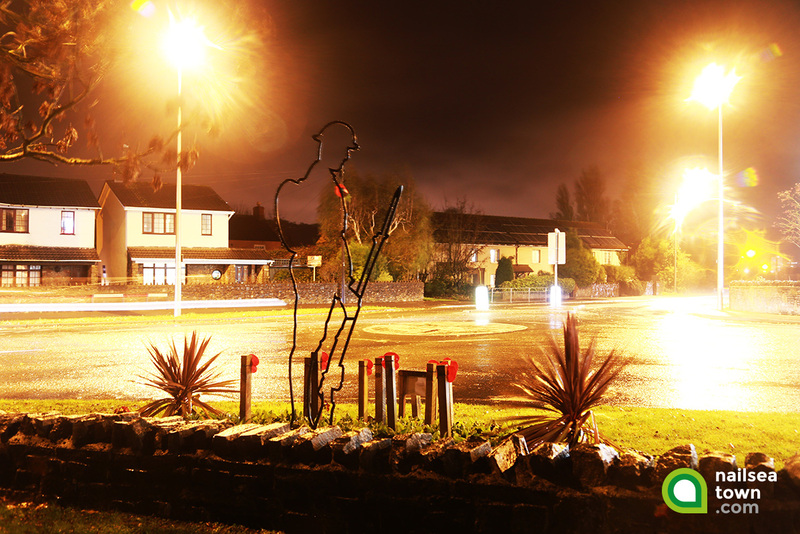 A temporary Tommy figure has been erected in Nailsea in centenary commemoration of Armistice Day and the end of WWI. The iconic and poignant image is part of the 2018 There But Not There campaign, which aims to educate all generations (particularly the younger generation born nearly 100 years since the outbreak of the First World War) to understand what led to the deaths of nearly 900,000 British and Commonwealth men and women. Situated on the flower bed (which is maintained by volunteers of Nailsea in Bloom and the Women’s Institute) by Tesco roundabout, the memorial is the result of combined effort from a Nailsea resident, the Royal British Legion and the Town Council. 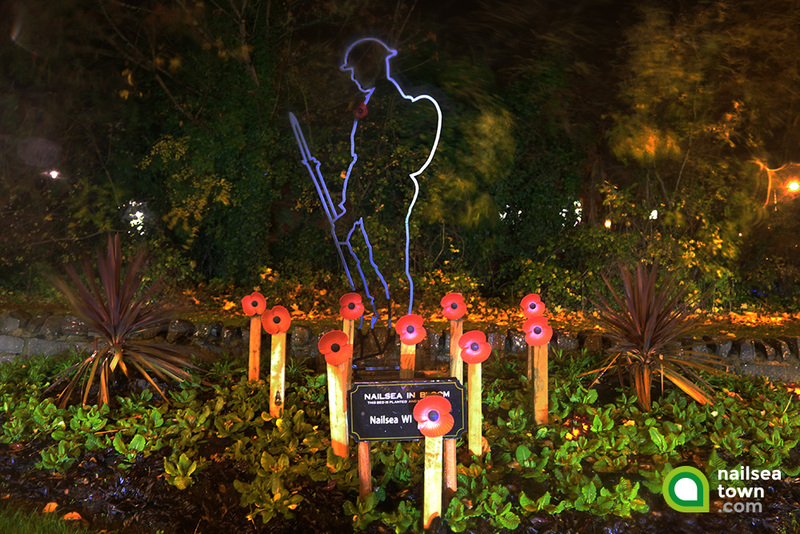 Nailsea’s Tommy figure will be on display temporarily each year for Remembrance Day. Inspire communities to purchase and install Tommy figures and silhouettes of their local Fallen wherever they are listed for the Armistice Period, 2018. Raise very substantial funds to help heal those suffering from the hidden wounds of war, through sale of commemorative Tommy figures. On Saturday 10th November 2018, a Candle Lighting to Commemorate Remembrance Sunday will be taking place at Nailsea’s Tithe Barn from 5:30pm. Everyone welcome. View the flyer here.